On March 1st, the UK and Ireland are celebrating World Book Day! The rest of the world waits until the 23nd of April, but it is never too early to prepare of course. Make sure you order everything you need in time, to have a great Alice in Wonderland themed day! 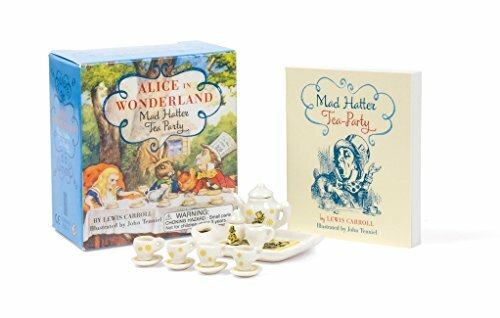 Mini Mad Tea Party book with mini teaset. Christ Church Library has a very nice collection with among others Lewis Carroll / Alice in Wonderland related material. Currently they are in the process of digitizing their material. A large part of the collection can already be found online. A very merry birthday, mr. Dodgson! On 27 January 1832, Charles Lutwidge Dodgson, a.k.a. Lewis Carroll, was born. He would have been 186 years old today. Dodgson was born in the old parsonage at Daresbury, Cheshire. He was the 3rd child and eldest son of Reverend Charles Dodgson and Frances Jane Lutwidge and had 3 brothers and 7 sisters. He died in Guildford of pneumonia on 14 January 1898. I made my own Alice in Wonderland themed doormat! I wrote down the instructions so you can make one yourself as well. There are several Alice in Wonderland doormats for sale, but I wanted something that I could not find in stores. So I decided to make one myself! Here’s how I did it. 20th Anniversary of this website! Oh my, can you believe that this website is celebrating its 20 year anniversary this month?? In 1997 I started my studies at university and got access to the internet on the campus. 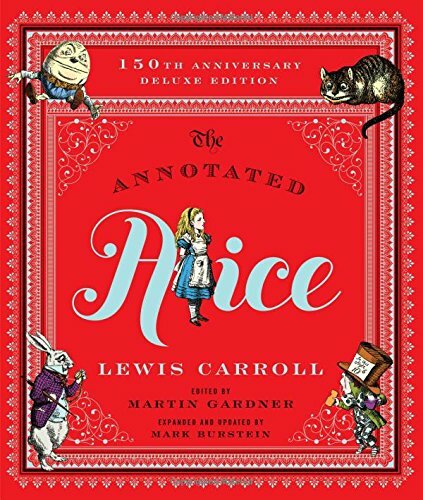 Being already a fan of Disney’s cartoon movie and Lewis Carroll’s books, I searched the web for more information about them. But I only found fragmented info. On 11 December, Sotheby’s is auctioning an American first edition of Through the Looking Glass and what Alice found there. This first edition is a ‘re-covered’ copy, meaning it has gotten a new dust-jacket, designed by Peter Blake. Get your own Disney’s Doorknob! Recently I got myself a real functioning doorknob shaped like the Doorknob in Disney’s cartoon movie! The item is handmade by an artist called Propsculptor and is available through his Etsy store. It is made of polyurethane resin and painted gold/brass.